In the aftermath of last week’s storm and flooding, the new Pottery Barn and Williams Sonoma stores just off Lincoln Road are closed. Both have been emptied of all merchandise, their windows containing signs that they hope to reopen soon. Today, however, both stores are empty, their windows covered in paper, though the interiors are visible through openings. 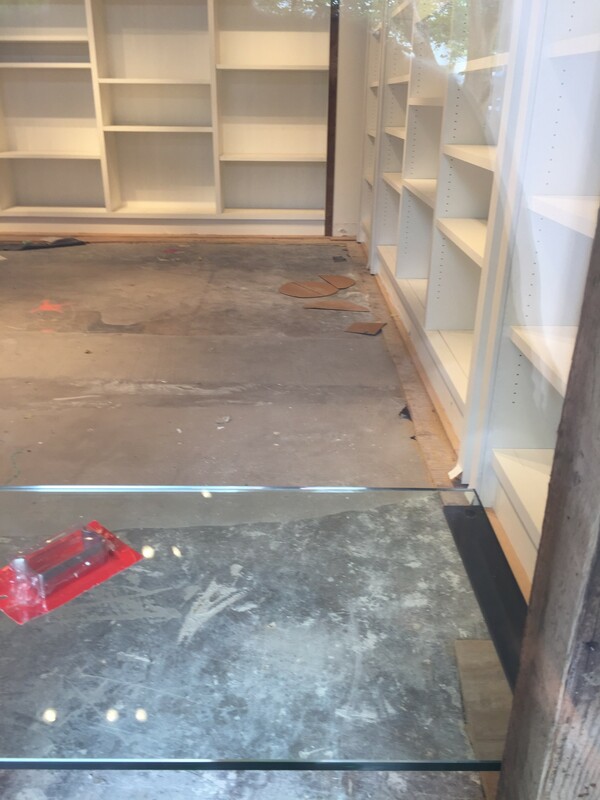 On the Pottery Barn side, there is only a cement floor and water damage is visible on veneer that is separated from shelving units and curled up. In the Williams Sonoma space, a stack of floorboards is piled near the front. At the neighboring, Hank & Harry’s Deli, an employee said they had minor flooding when water from Pottery Barn came through into their space. But, as a restaurant, he said, they had drains in the floor which helped them get cleaned up and reopened quickly. Pottery Barn, which is part of the Williams Sonoma Inc. portfolio, opened in early May in 10,237 square feet at The Lincoln, 1691 Michigan Avenue, with a pass-through to the new Williams Sonoma store. Both stores were previously located on Lincoln Road where the Nike store now stands. The City is also dealing with its own cleanup. 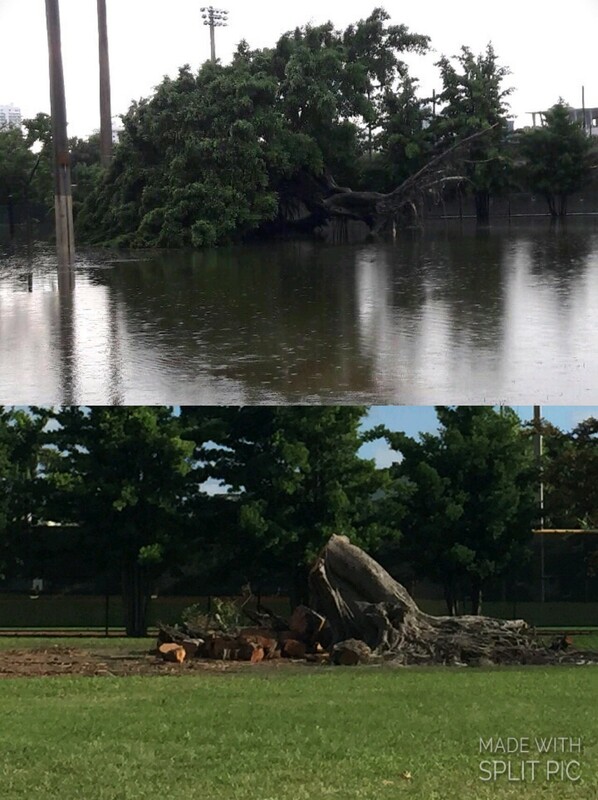 A large ficus tree in Flamingo Park toppled when its shallow root system failed. Miami Beach City Manager Jimmy Morales told City Commissioners the Parks and Recreation Department will work with the Urban Forestry Division staff to replace the lost canopy with "seven Florida Friendly Category 1 trees within the park.” Category 1 trees are a minimum of 12 feet in height. 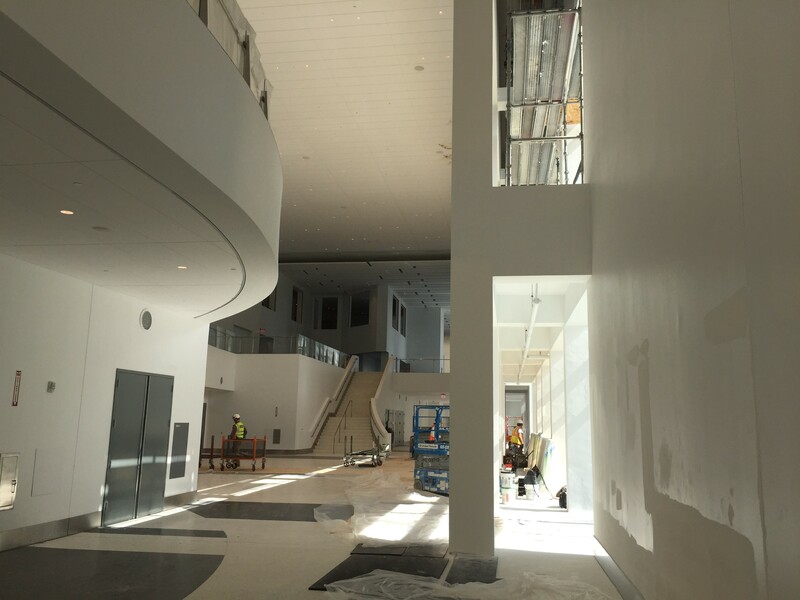 The Convention Center, which is currently under construction, also experienced about $450,000 in damage when a temporary roof, which Project Director Maria Hernandez said had withstood other storms, peeled back in the heavy wind and rain. The damage, mostly to drywall on the east building and materials on a loading dock, is covered by insurance. The east building hosted the recent eMERGE conference and Major League Baseball fanfest. However, Hernandez said, “This looks finished but it’s not 100% finished.” Once it is, she said it will be better able to withstand a heavy storm. Meanwhile, if your business was impacted by the August 1st flooding, the City asks you to fill out this survey from the Florida Virtual Business Emergency Operations Center. According to the survey page, “The information provided in this survey will be shared among various state and local agencies to expedite implementation of appropriate disaster relief programs for businesses. This survey assists the State with determining if relief services for businesses should be activated.” Choose “Tropical Storm Emily” in the drop-down menu.